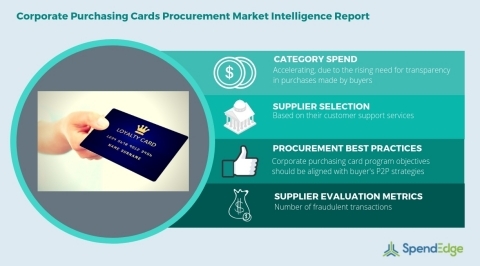 LONDON--(BUSINESS WIRE)--SpendEdge, a global procurement market intelligence firm, has announced the release of their Global Corporate Purchasing Cards Category - Procurement Market Intelligence Report. “Buyers prefer partnering with commercial banks who have fair experience with this category. Their experience enables them to offer a customized set of services at a marginal markup cost while also ensuring the reliability of suppliers,” says SpendEdge procurement expert Sumit Yadav.